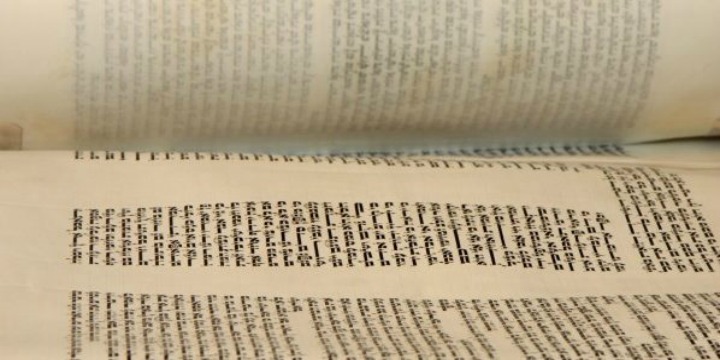 Comparing two of the most famous events in the Torah, we face what seems like a glaring contradiction. In this week’s parsha, Moses — on the mountain — is told by God to go down to the people. They had made a golden calf. Moses descends, holding in his hands the holiest object of all time: the two tablets carved and inscribed by God Himself. As Moses reached the foot of the mountain, he saw the people dancing around the calf. In his anger, he threw down the tablets and broke them into pieces (Ex. 32:19). It was a public display of anger. Yet Moses was not criticized for this act, done entirely of his own accord. Resh Lakish, commenting on the verse in which God commands Moses to carve a new set of tablets to replace the ones “which you broke” (Ex. 34:1), says that God was, in effect, giving His approval to Moses’ deed. The sages went further. The concluding verses of the Torah state: “No other prophet has arisen in Israel like Moses, who knew the Lord face to face …or in any of the mighty hand and awesome wonders Moses displayed in the sight of all Israel” (Deut. 34:10-12). Of the phrase “mighty hand,” they said that it refers to the breaking of the tablets. In other words, it is seen as one of Moses’ greatest acts of courage and leadership. Many years later, Moses was faced with another crisis. The people had arrived at Kadesh. There was no water. The people complained. Once again, Moses displayed anger. Told by God to speak to the rock, he struck it twice, and water gushed out. This time, however, instead of being praised for what he did, God said to him: “Because you did not trust in Me to sanctify Me in the sight of the Israelites, you will not bring this assembly into the land I have given them” (Num. 20:12). The difficulties in this passage are well-known. What was Moses’ sin? And was not the punishment disproportionate? My concern here, though, is simply with the comparison between the two events. In both cases, the people were running out of control. In both cases, Moses performed a gesture of anger. Why was one commended, but the other condemned? Why was a show of anger appropriate in one case, but not in the other? Is anger always wrong when shown by a leader, or is it sometimes necessary? The answer is provided by Maimonides in his legal law code, the Mishneh Torah. Anger is an extremely bad attribute, and one should distance oneself from it by going to the other extreme. One should train oneself not to get angry, even about something to which anger might be the appropriate response. … The ancient sages said, “One who yields to anger is as if he had worshipped idols.” They also said, “Whoever yields to anger, if he is wise, his wisdom deserts him, and if he is a prophet, his prophecy leaves him.” … Therefore they have instructed us to keep far from anger, training ourselves to stay calm even in the face of provocation. This is the right way. If one wants to instil reverence in his children and family, or in public if he is the head of the community, and his desire is to show them his anger so as to bring them back to the good, he should appear to be angry with them so as to reprove them — but he must inwardly remain calm as if he were acting the part of an angry man, but in reality, he is not angry at all. According to Maimonides, the emotion of anger is always the wrong response. We may not be able to help feeling it, but we should be aware that while it lasts,we are in the grip of an emotion that we cannot control. That is what makes anger so dangerous. It is, to use Daniel Kahneman’s terminology, thinking fast when we ought to be thinking slow. Maimonides, here and elsewhere, adopts a position that has been strikingly vindicated by neuroscientists’ discovery of the plasticity of the brain. Intensive training over a prolonged period rewires our neural circuitry. We can develop new patterns of response, initially through intense self-control, but eventually through habit. This is particularly hard to do in the case of anger, which is why we have to work so hard to eliminate it from our emotional repertoire. But, says Maimonides, there is a fundamental difference between feeling anger and showing it. Sometimes it is necessary for a parent, teacher or leader to demonstrate anger — to look angry even if you aren’t. It has a shock effect. When someone in authority displays anger, the person or group it is directed against is in danger, and knows it. It is almost like administering an electric shock, and it is often effective in bringing a person or group to order. It is, though, a very high-risk strategy. There is a danger that it will provoke an angry response, making the situation worse. It is a weapon to be used only rarely, but sometimes it is the only way. The key question then becomes: is this a moment when anger is called for or not? That calls for careful judgement. When people are dancing around an idol, anger is the right response. But when there is no water and the people are crying out in thirst, it is the wrong one. So, to summarize: we should never feel anger. But there are times when we should show it. These are few and far between, but they exist. I say this because of one of my own most life-changing experiences. There was a time when I smoked a pipe. It was the wrong thing to do, and I knew it. There is a mitzvah to take care of your health, and smoking harms you badly in multiple ways. Yet there is such a thing as addiction, and it can be very hard to cure — even when you are fully aware of how badly you are injuring yourself and others. For years I tried to give it up, and repeatedly failed. Then someone I respected greatly became angry with me. It was a cool anger, but it felt like a slap in the face. It cured me. The shock was so great that I stopped and never smoked again. The experience of being on the receiving end of someone’s anger changed my life. It may even have saved my life. This was a difficult discovery. When you are a leader, you are often at the receiving end of people’s anger. You learn to live with it, and not let it depress or deflect you. However when someone who clearly cares for you, gets angry with you, not because he or she disagrees with you, but simply because they see you doing yourself harm, it can change your life in a way few other things can. There are families and cultures where anger is used all too often. This is abusive and harmful. Anger is bad for the person who feels it — and often for the one who receives it. But sometimes there are situations that demand it, where putting up with someone’s bad behavior is damaging, and where making excuses for it can become a form of co-dependency. Friends and family, intending no more than to be tolerant and kind, in effect make it easy for the person to stay addicted to bad habits — at a cost to the person’s and others’ happiness. Maimonides teaches us that we should try to conquer our feelings of anger. But when we see someone or a group acting wrongly, we may have to show anger even if we don’t feel it. People sometimes need that shock to help them change their lives.